CFG is a broad based healthcare provider that is dedicated to improving quality of life for individuals and families by providing comprehensive and innovative medical and mental health services. Our Health Network includes Center for Family Guidance, CFG Health Systems and CFG Residentials. For information on Telepsychiatry please visit our partner organization InSight. The Center for Family Guidance, PC. was established in 1997, is the home of our 3 Outpatient Clinics, in which we provide a range of behavioral health services. Our wide range of treatment options sets the Center for Family Guidance, PC apart from other behavioral health clinics. Our treatment options range from traditional treatment such as therapy and medication management to our cutting edge treatments that engage our patients in tele-behavioral health services. CFG Health Systems, LLC operates our correctional service division providing staffing expertise and a full range of medical, behavioral health, pharmacy, telemedicine, utilization management, provider contracting, claims processing, and quality management services in correctional facilities (jails, prisons and detentions centers). We are a provider of correctional healthcare services which delivers exceptional healthcare in a manner that manages risk while operating within the budgetary requirements of our clients. CFG Residentials, LLC creates an environment that is supportive and nurturing by providing comprehensive mental health and therapeutic residential treatment to children affected by a broad range of emotional, behavioral and developmental challenges. Our team of highly trained professional staff offers quality care to children and their families through multiple treatment approaches. We are committed to helping children attain their potential for personal growth and success by teaching them to consistently make safe and healthy choices. CFG’s Hospital Partnerships provide various solutions to optimize existing programs and explore areas of expansion. CFG’s Residency Outreach Program strives to foster relationships and be a trusted resource with Physician Residents and Psychiatric Nurse Practitioner students.  InSight Telepsychiatry is a partner organization to the CFG Health Network.